GFS likes throwing out some very intense storms out of the mass of lows in the atlantic in some of its runs. 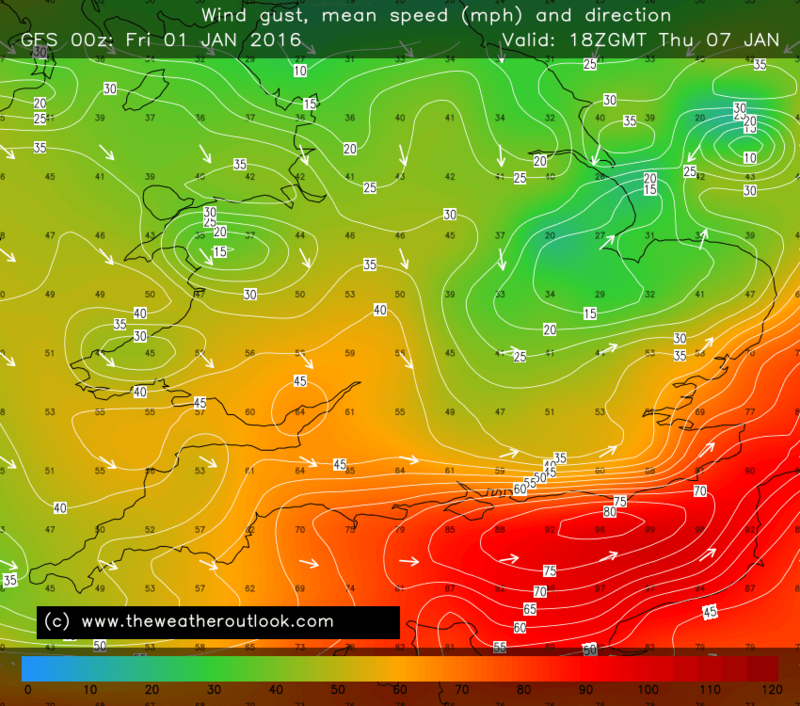 The latest (00z) throwing one into the south, giving 50-65 mph widely, increasingly very much so into the channel! 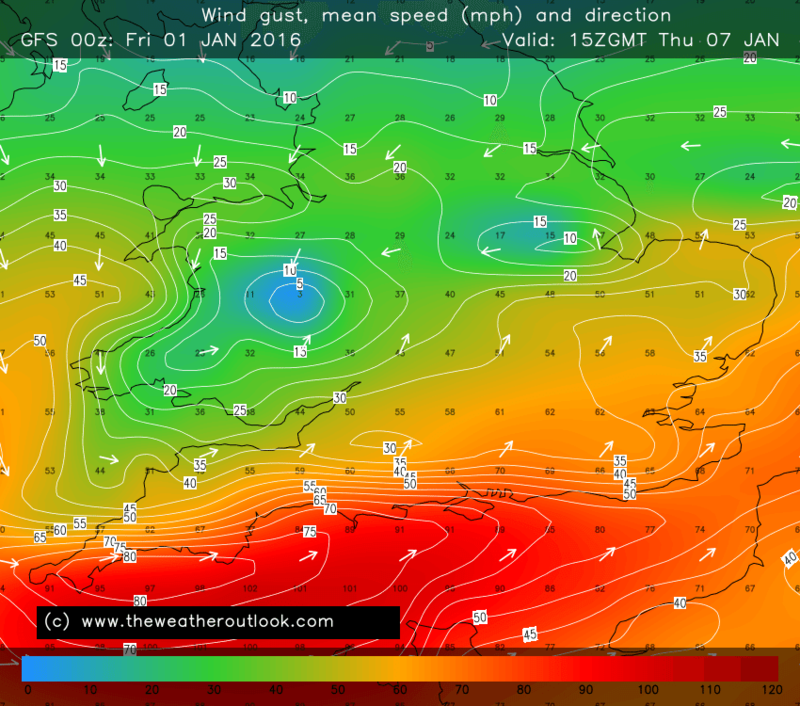 Certainly makes me wonder if at least somewhere gets a rather late-notice strong storm making its way across the UK.